In August, 1996, I ran into Piita Irniq at the Dorval airport in Montreal. That’s was in 1993, when Irniq was an organizer of the first reunion of former residential school students from the Sir Joseph Bernier School in Chesterfield Inlet. As we waited for our flight over tea, Irniq told me as we waited for our plane that he had stopped smoking and drinking. And that he was busy — with the Nunavut Implementation Commission, the group that was designing the new government for Nunavut, to be created in 1999. 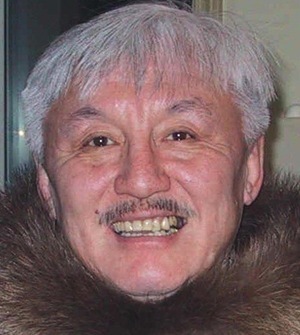 Piita Irniq, shown here in a handout photo after he become the first Commissioner of Nunavut. Irniq, like me, was on his way to Memorial University in St. John’s, Nfld. for the Inuit Studies Conference. But he said he was not happy when non-Inuit academics talk about Inuit, which is exactly what happened at these gatherings. Two years ago, at the previous Inuit Studies conference in Iqaluit, Bernard Saladin d’Anglure, a professor from Quebec City’s Laval university and president of the Inuit Studies Association (Inuksiutitt Katimajiit Association), had issued a “call for help from the spirits of the numerous Inuit shamans of the past” to solve the social, cultural and economic crises in Inuit communities. Saladin d’Anglure said then that a return to traditional religion might restore the value system and ideology that Inuit had lost. He said that shamanism is the “original religion of humanity,” with a powerful message for today. 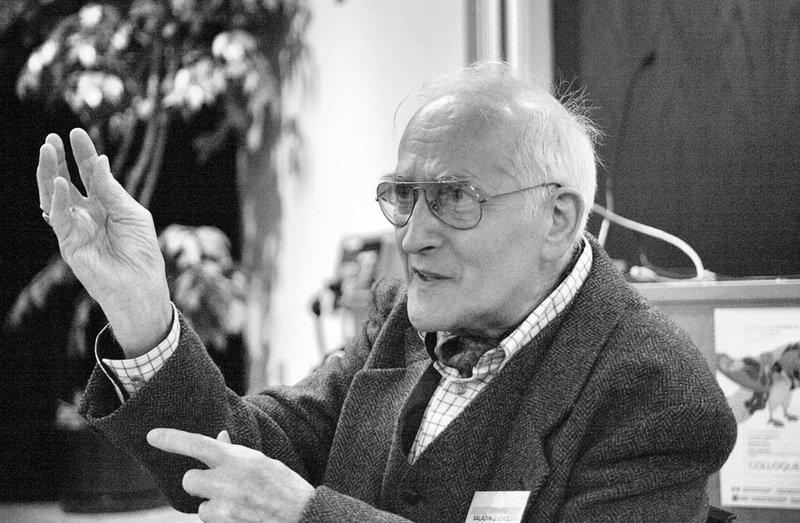 Bernard Saladin D’Anglure in a photo from Université Laval. Saladin d’Anglure continued to study shamanism, in Igloolik, in Siberia and in South America, and, in St. John’s, he hadn’t changed his point of view. “The Inuit political development is a big success, but in terms of philosophy, ideology and religion, it’s a big disaster,” he said. At the conference in St. John’s, Saladin d’Anglure chaired a special session on “Shamanism and Possession.” He shared stories collected during 40 years of research, about shamans’ special abilities to communicate with unseen spirits and to mediate between unknown forces and people, from the past and the future. But Irniq said he thought Saladin d’Anglure, a non-Inuk, shouldn’t be talking about shamanism. 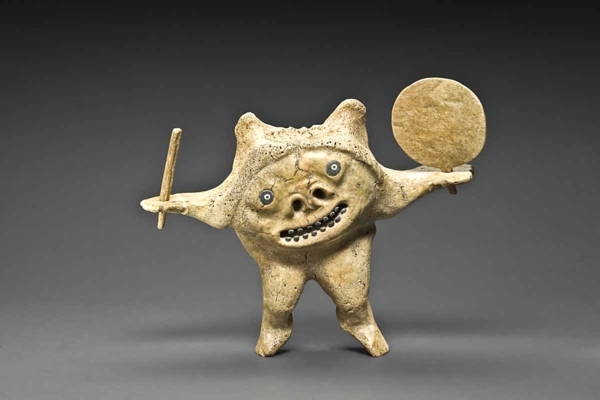 “It’s Inuit who should be invited to talk about shamanism at an Inuit Studies Conference. It’s a spiritual belief,” Irniq said. He said he believed Inuit should decide if they want to revive shamanism, not researchers. Resentment against researchers was common in the North during the 1990s. And the joke that an Inuit family consists of a man, a woman, two children, dogs and an anthropologist wasn’t seen as funny anymore. Martha Flaherty, then the president of the Pauktuutit Inuit Women’s Association, also used the Inuit Studies Conference in St. John’s as a forum to get this message across. She said too often southerners come north, do field research for a few months and then influence government funding and policy with their results. Flaherty said Inuit needed to assume tighter controls over research and its impact. Some 40 or more years in the past researchers could freely study Inuit, traveling wherever they pleased and talking to anyone who would speak to them — just like I had been doing as a journalist. When Saladin d’Anglure was a young man, he went to northern Quebec, and stayed for months, learning the language and recording stories. His Inuktitut nickname was apiqsuk — the one who asks questions. As long as he lived with the Inuit who were living around Kangiqsujuaq, then known as Wakeham Bay, in tents and igloos, he was accepted as a member of their community and learned to speak Inuktitut. “They tested my capacity as a hunter,and when I succeeded at the test, they all wanted to go out hunting with me!” he said in a 1996 interview. Saladin d’Anglure used to give notebooks to elders, so that they could write all their stories down in syllabics. A young woman called Mitiarjuk became one of his main sources. Mitiarjuk first began writing for Father Robert Lechat, who wanted to improve his Inuktitut. But she soon tired of writing simple sentences. So, with Saladin d’Anglure’s encouragement, she began to weave — out of her own imagination — an entire saga. 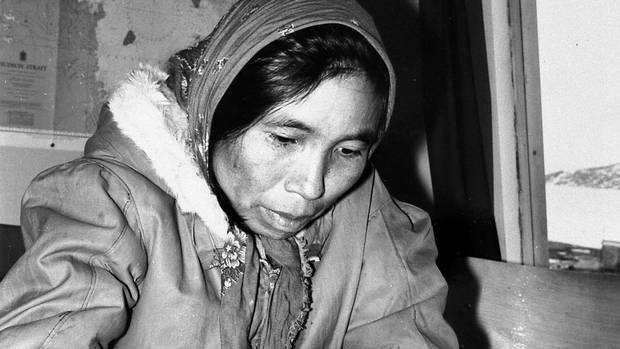 An undated photo of Mitiarjuk Nappaaluk. That long story, called Sanaaq, tells the story of a fictional Inuit family living on the land when white men were just beginning to come into northern Quebec during the 1920s and 1930s. The heroine and narrator of the tale is a woman — called Sanaaq. No one had ever told her that fiction existed: the only book Mitiarjuk had ever seen was the Bible, “so she actually reinvented the novel,” Saladin d’Anglure said. When in 1997, I finally visited Kangiqsujuaq, where Mitiarjuk lived until her death at 78 in 2007. I arranged to meet her at the local school, where she was a language and culture instructor. When I met her, she was an elder, a small, thin woman with lank, grey hair. We talked over the kitchen table. 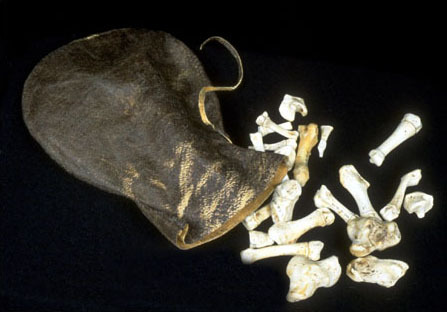 She took a few small bones out of a bag and put them on the kitchen table. Out of these she deftly constructed a traditional camp scene. Under her hands, these bones appeared as if they were really taking off over the land. She reflected on the scene she created out of bones. She sang a short song to the dogs, using words that she saif most young Inuit today would scarcely recognize. 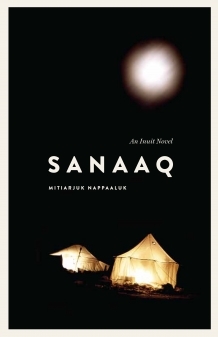 Sanaaq is now available in English, through Nunavik’s Avataq Cultural Institute. “If I hadn’t written, no one would know the old words anymore,” said Mitiarjuk who had also compiled an Inuit Encyclopedia based on Inuit traditional knowledge. But Saladin d’Anglure said Sanaaq might never have been written, preserved and eventually published, if he hadn’t worked with her and translated her first writings. However, in 1996, there was very little of this kind of close collaboration between anthropologists and Inuit. “They ask us to have a form with the signature of the informant, so many things that when we try to do that with old informants and friends they respond, ‘So I have to sign on this form? Until now, we were working so well together. If you are not confident in me, I stop to work with you.’ So that’s the other side of the medal,” said Saladin d’Anglure. Louis-Jacques Dorais, an anthropologist from Laval university, said that, when the Inuit Studies Conference first convened in 1978, Inuit were only indirectly involved in research and not always informed of the results, which were shared in southern professional journals or at conferences in the South. Many said they don’t agree with this attitude, and some contested the idea that knowledge of any kind is owned. The result would be that, for many years, particularly during the 1990s, much research wouldn’t be done. That’s because researchers were uneasy with the new way of doing things, which meant they could no longer come into a community and walk away with what they learned. And research, particularly on controversial subjects such as violence against women, was often never made public because many studies, usually commissioned by organizations, remained their property. As a journalist, I sometimes felt that I walked on thin ice: I talked to people freely, about the most touchy of subjects, but I shared what I learn: I published everything for people in the North— and, in the Nunatsiaq News, for which I was writing more and more in 1996, most stories were also translated into Inuktitut. However, journalists who parachuted in to Inuit communities and published in the South would experience problems many years later — particularly in Nunavik where many of the reports and articles were usually published in French only. Many years down the road, in 2012, the Nunatsiaq News even published translations of some stories so people could read these after outrage followed a series called “La tragédie Inuite” (The Inuit Tragedy) in La Presse. The next instalment of Like an iceberg goes live May 2.